We are a small business situated in North Cornwall designed to help South West poultry keepers and small holders. We have been in business since 1980 advising and selling poultry, housing, incubators and equipment. We are a small farm specialising in selling hybrid laying hens. 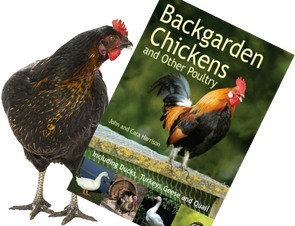 We have several varieties available for you to choose from and are always happy to give advice and help regarding keeping chickens from our 45 years of experience. Please phone to arrange to come and see the birds and have a chat about what would be most suitable for you. We also sell day old table birds, and off heat table birds, turkeys, and occasionally ducks and geese. Also available oven ready free range chickens and turkeys.